A new ZK Research study reveals significant shifts in application delivery practices as enterprises are automating or adopting cloud-native applications. In the process of modernizing their infrastructure, enterprises are addressing on-demand scalability requirements, improving management, and lowering costs. 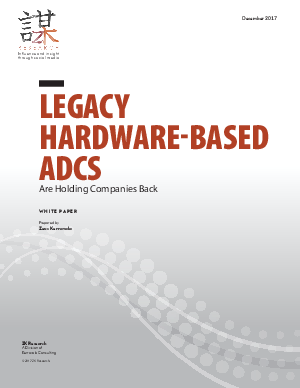 Download Legacy Hardware-Based ADCs: Are Companies Holding Back?